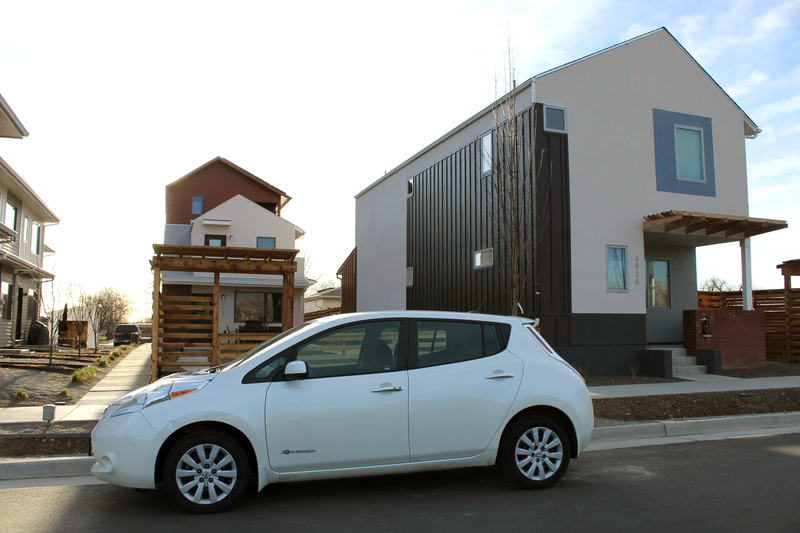 The Gatehouse will be the new home for the Ralston Creek Cohousing community. 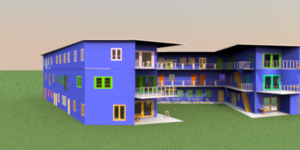 We and our builder envision a 3 story condominium style building with individual units for 20-22 families plus our common house with the opportunity for 5 more families in larger town homes across the street to join us. The Gatehouse will create a center of cohousing in the Geos neighborhood. And it offers lots of advantages to those of us who will be living there. We can buy smaller units. We will be living in a larger building, sharing several common areas. We’ll have a big space for parties, a couple of guest rooms, a courtyard, and play areas for adults and children. This allows each family to buy a smaller family unit for ourselves. We share maintenance costs and work. We’ll have a shared courtyard, parking area, and other common amenities. We’ll share the costs to maintain these resources, like upkeep, insurance, snow removal, and the like. We will have the best of both personal and shared living spaces. 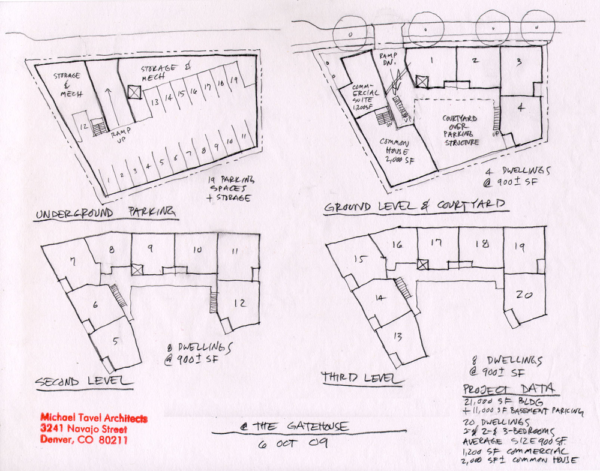 Architects with cohousing expertise will help us design our space for easy socializing. We’ll have personal living quarters right next to common areas designed to make socializing easy and fun. With a courtyard in the middle, the common rooms on the first floor, gardens in the open space to the south of us, and parks to the east and west of us, having fun together was never so easy! Our footprint will be lighter. While we have more amenities, we will share them, making our footprint even lighter in a neighborhood of small footprints. 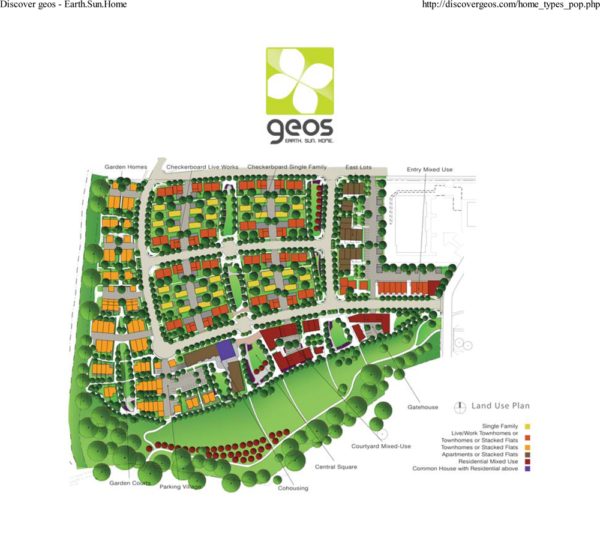 We can provide a center for cohousing at Geos. Once we are established as a physical center of cohousing, we plan to invite other households in the neighborhood into cohousing, with the Gatehouse providing a physical center. Geos will be a walkable, livable neighborhood, with the Gatehouse leading the way! Having multiple units in one building is more efficient for retaining heat. Sharing a building reduces the percentage of exterior walls for each unit. 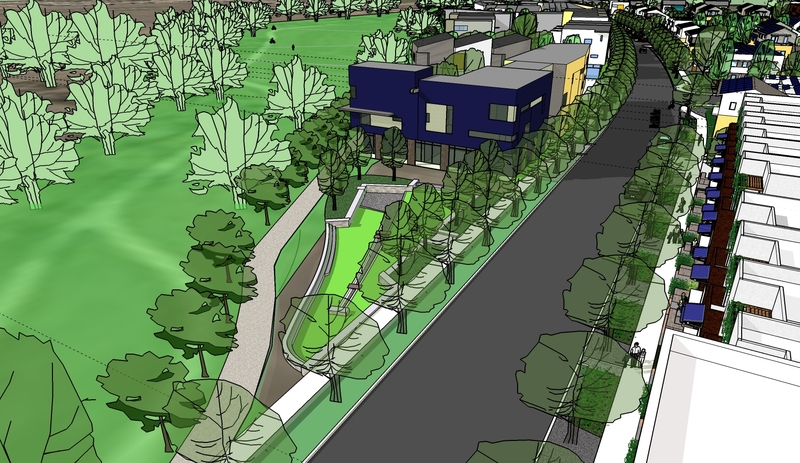 The plan for Ralston Creek Cohousing is in development. Here are some preliminary plans. Join Us! Participate in the process of building a new community. Ralston Creek Cohousing will feature a neighborhood with homes formed around an open space or courtyard. It will offer a great sense of community, and an array of shared facilities, gathering spaces, gardens, and a playground. A Common House features meeting and activity spaces, a kitchen and dining room, and other resident amenities that can be shared with the larger Geos Neighborhood. Geos is just finishing up the first phase of building, with our Gatehouse as the capstone of that phase. As the later phases are built, more co-housing is planned, which will make Geos an exciting and fun neighborhood. We think it’s the best place to live in all of Colorado!